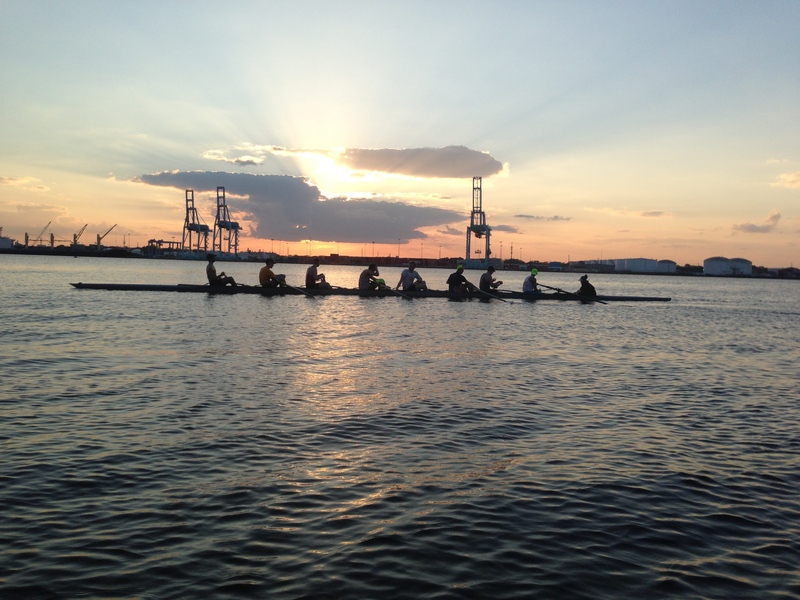 Beautiful Sunset rowing in Jacksonville last night. Elite fitness is all about developing power through high intensity. Today’s Rowing WOD is an opportunity to push your boundaries and test the limits of your speed. Catch your breath and focus on the 40 seconds off so that you can put every ounce of energy into suspending from the oar and going low on the split. Compare your results to your 2k race plan. Do you last through the first 7, but die soon after? Could you go faster at the start of your 2k? What happens to your focus in the last couple? Use your results to adjust your race plan and goal for our next 2k test which will be happening in about 5 weeks. The idea of suspension can be very powerful when you’re trying to pull low splits under fatigue. Check it out below. Post your fastest, slowest, and average splits to comments. 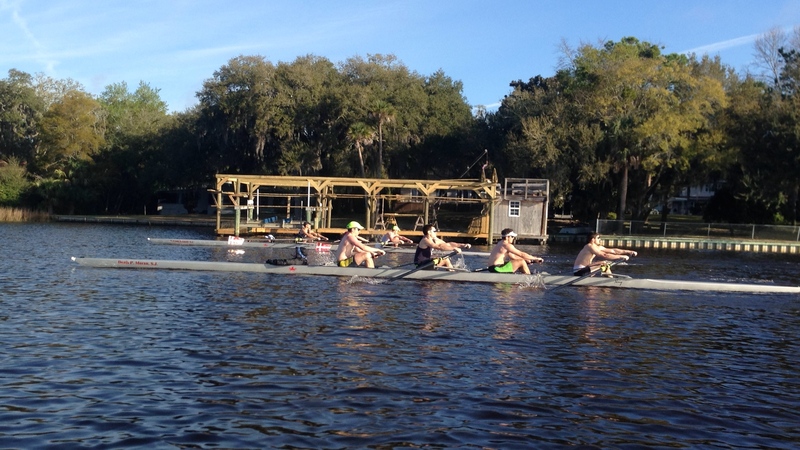 Try warming up with a couple of strap drills to feel and practice suspending from the oar. Have Fun! This entry was posted in Rowing and tagged endurance sports, exercise, functional movements, mental toughness, personal experiences, row 2k, rowing, sports, training, water by Renegade Rowing. Bookmark the permalink.